Teleperformance Portugal is part of the Teleperformance group, worldwide leader in Customer Experience Management and shared services for international markets. With our team of 5.000 employees we are providing services to around 56 countries in 28 different languages. In 2015, Teleperformance Portugal is considered for the sixth time the best company to work for in Portugal by the Great Place to Work Institute. Furthermore, we were awarded for the second time by Exame Magazine as one of the best companies to work for in Portugal and the best company within our sector. As a young, dynamic team, we are committed to the success of our partners and dedicated to provide an outstanding performance for the customers to every extent. Supercell is a mobile game developer based in Helsinki, Finland with offices in San Francisco, Tokyo, Seoul and Beijing. Its games are available for tablets and smartphones using both Apple’s iOS and Google’s Android operating systems. Since its founding in 2010, Supercell has brought three hugely successful games to the market – Clash of Clans, Hay Day and Boom Beach – and keeps continuously growing at a fast pace. Become our clients’ ambassador and be the first point of contact for the Supercell players’ community. You will be in charge of the players’ issues until a resolution has been identified. 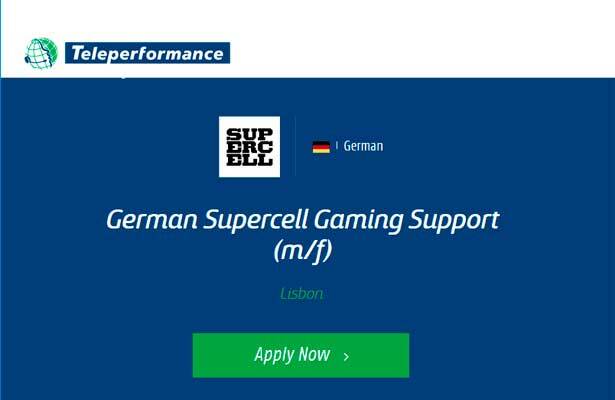 As a member of Supercell’s Player Support team you are going to provide AWESOME game support to all players in the Supercell community, using Helpshift™ (mobile CRM) and other support tools. You will engage directly with the players in offline conversations, in-app chat and voice. Besides that, you will provide feedback to the Supercell team in Helsinki. 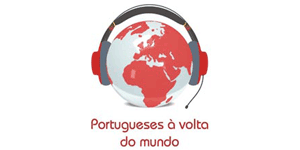 Free Portuguese language courses *, water sports, soft trekking and much more for all who are interested.